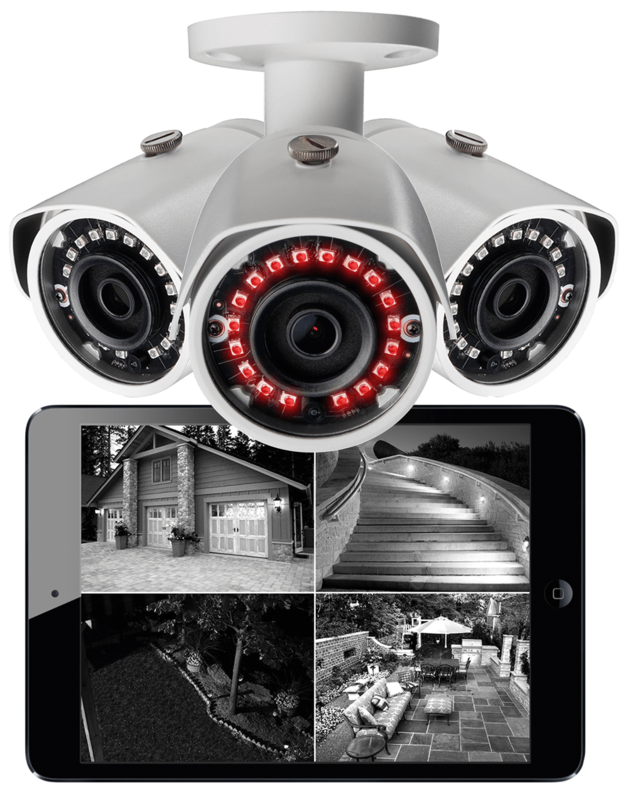 Confidently protect your home by owning a professional-level IP security system. 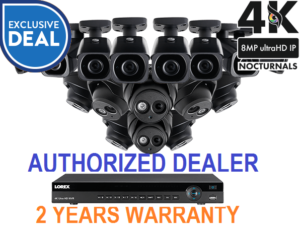 The HDIP44D security system combines a powerful 4-channel Network Video Recorder (NVR) with four 1080p resolution dome cameras. Built-in PoE (power-over-ethernet) ports make installation a breeze. Simply connect the NVR and camera with a single ethernet cable. This reduces both installation time and cord clutter. 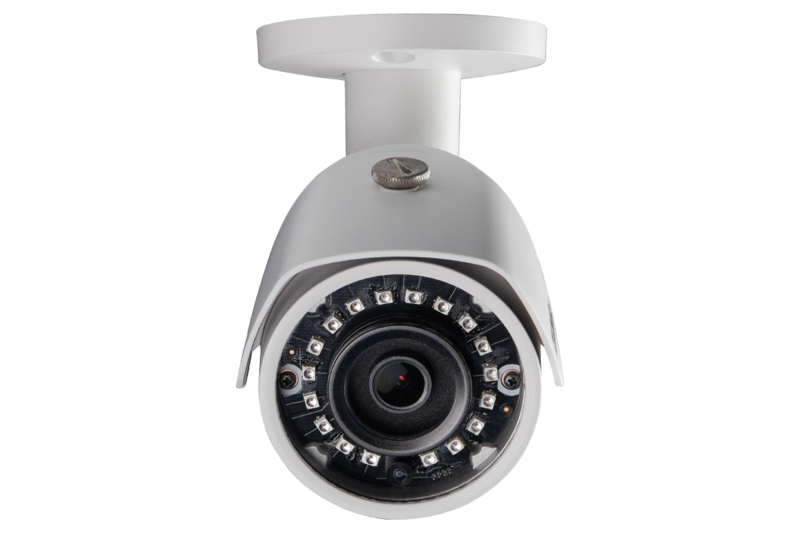 The security cameras are also fully weatherproof and can be installed indoor or outdoors. Confidently protect your home by owning a professional-level IP security system. 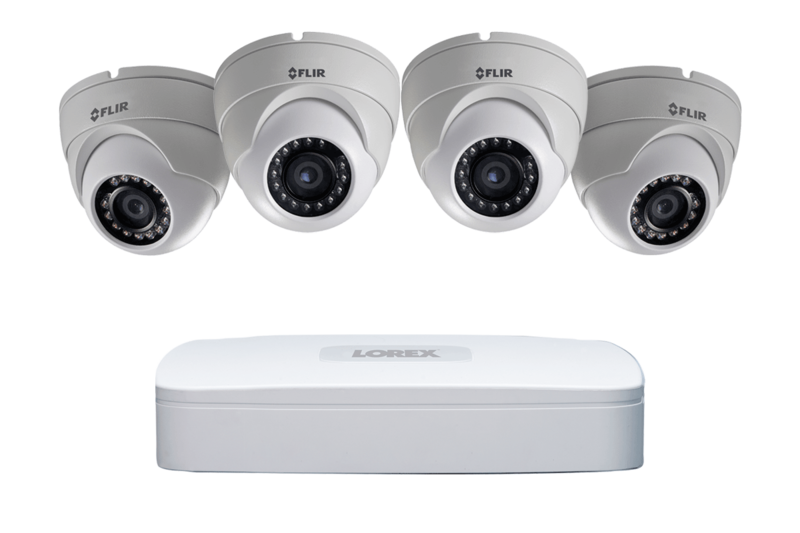 This security system combines a powerful 4-channel Network Video Recorder (NVR) with four 1080p resolution bullet cameras. Built-in PoE (power-over-ethernet) ports make installation a breeze. Simply connect the NVR and camera with a single ethernet cable. This reduces both installation time and cord clutter. 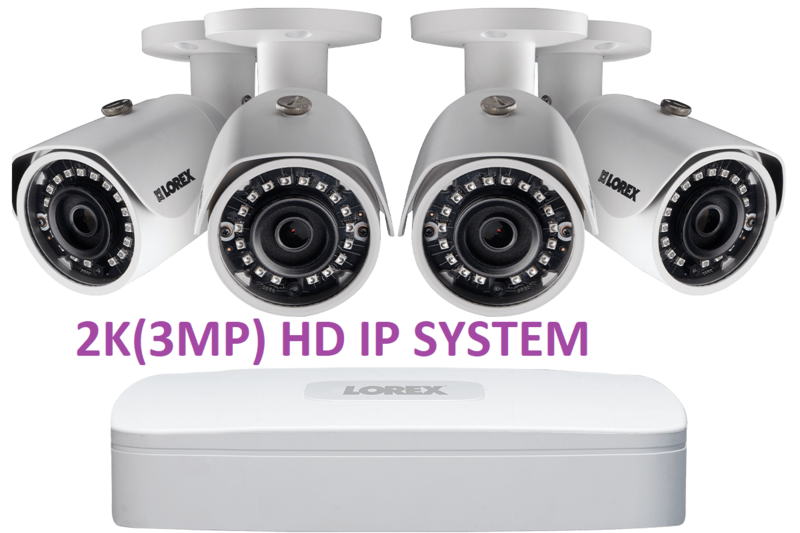 The security cameras are also fully weatherproof and can be installed indoor or outdoors. Receive full 1080p high definition video footage thanks to the advanced 2-megapixel image sensors within each of your bullet security cameras. You can also expect smooth on-screen motion from your cameras. They are capable of delivering real-time 30 frames-per-second (fps) video (even at 1080p resolution). 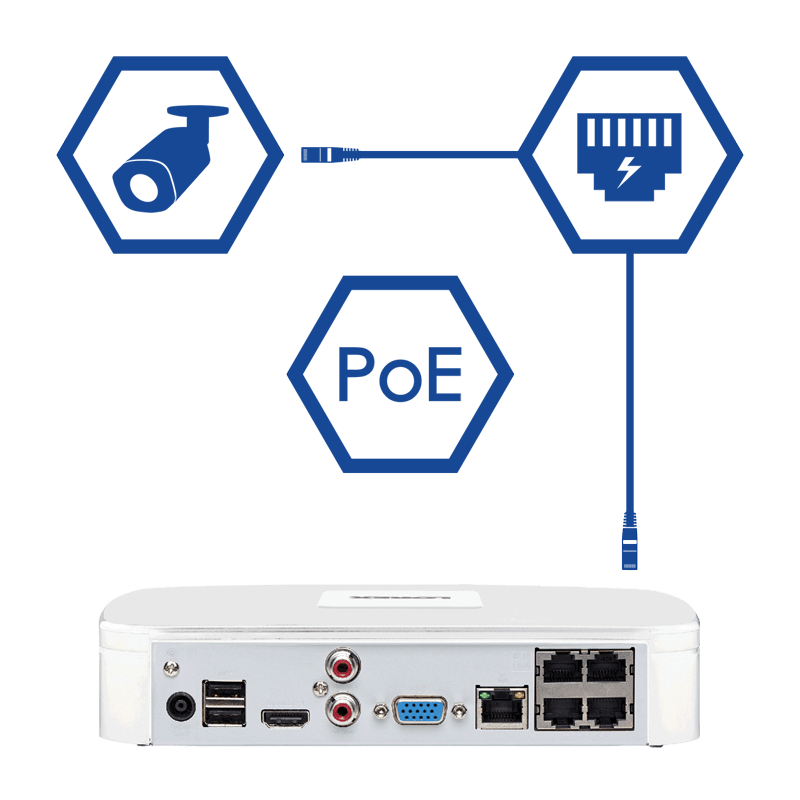 Connect each IP camera to the NVRs 4 integrated Power-over-Ethernet (PoE) ports with a single run of ethernet cable (Cat5 or above). This cable will provide both power to the camera and video transmission up to 300ft / 91m, which allows you to install your security cameras where you need them most without the need to have a power outlet nearby. 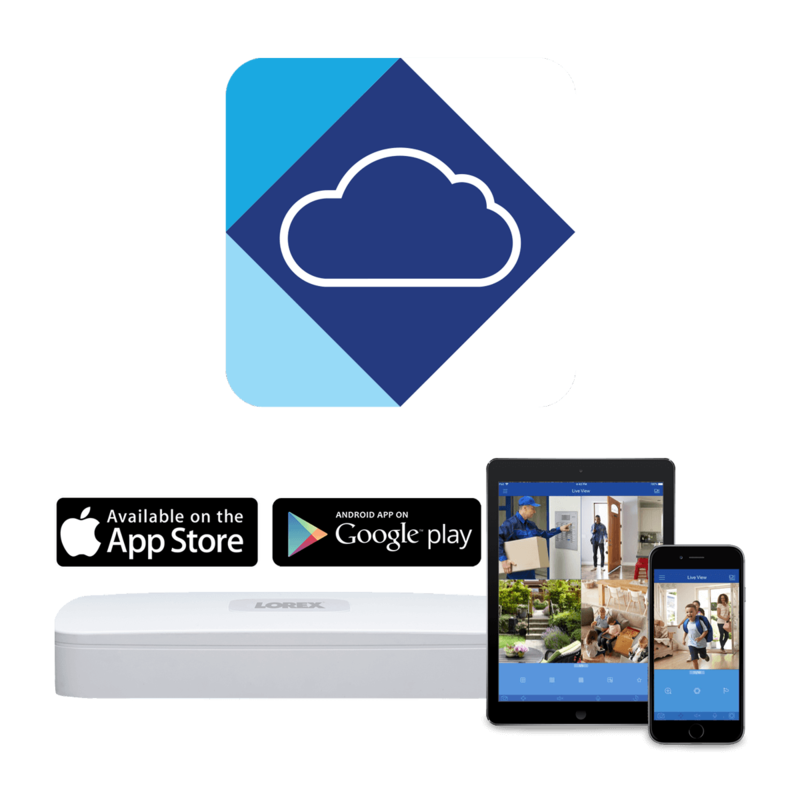 Connect your NVR to our free Lorex Cloud™ app to securely view your security system from your favorite mobile device. This lets you see what your cameras see (or watch their recorded footage) from wherever life takes you. With iOS, Android and PC options, your security system will always be at your fingertips. Customize features like push notifications and instant email alerts for motion-triggered events to make sure that you’re always in the know. 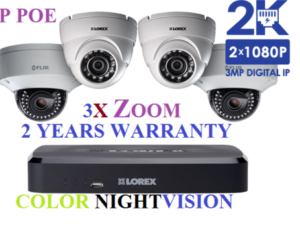 Be confident that your security cameras won’t leave you in the dark. They come with powerful infrared LEDs that can see clearly in the dark. 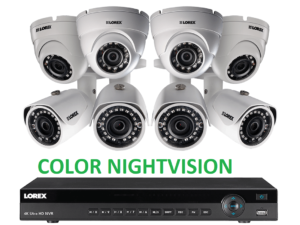 With a night vision range up to 130ft, you can trust that your security cameras will be there for you around-the-clock. 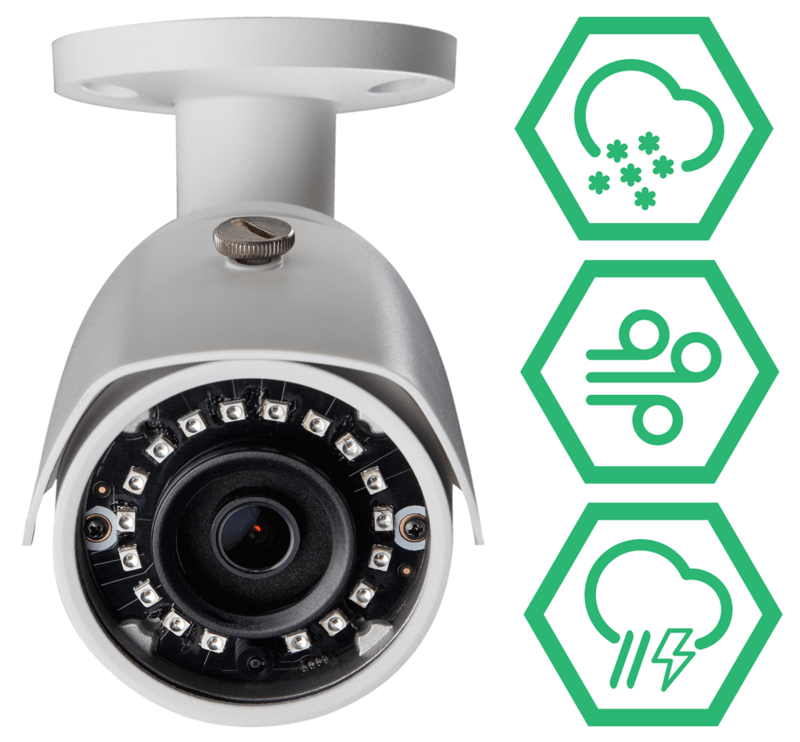 Your dome security cameras are rated IP66 (weatherproof) and can withstand virtually any weather conditions. This includes heavy winds, furious rainstorms, or freezing snow storms. 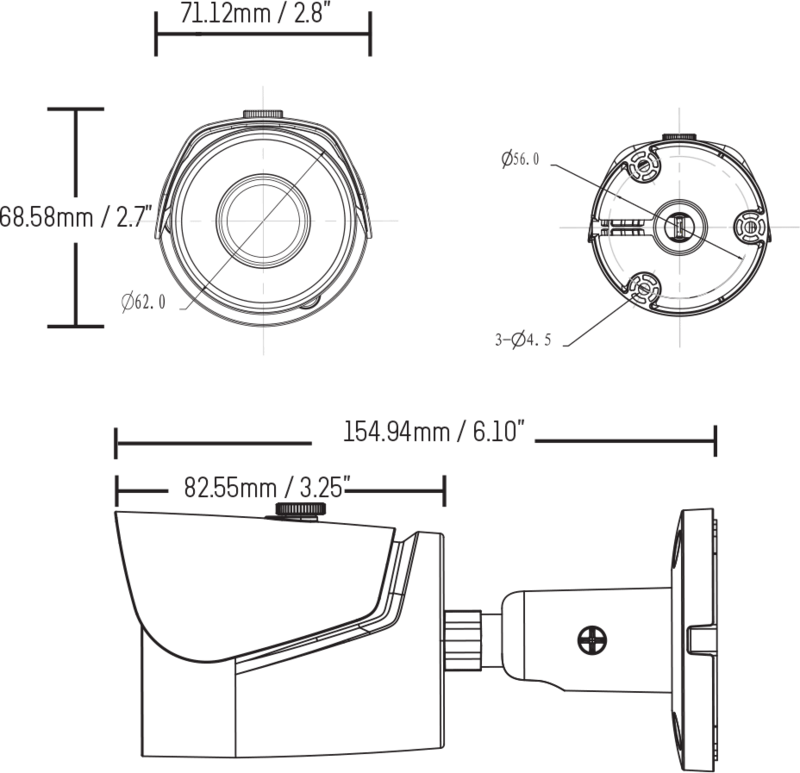 Built from a solid unibody metal housing, the LNB3163 allows for durability while still maintaining a lightweight design. The corrosion-resistant aluminum body makes this camera perfect for both indoor and outdoor use, protecting it from even the harshest of weather; rain, snow, or hail. 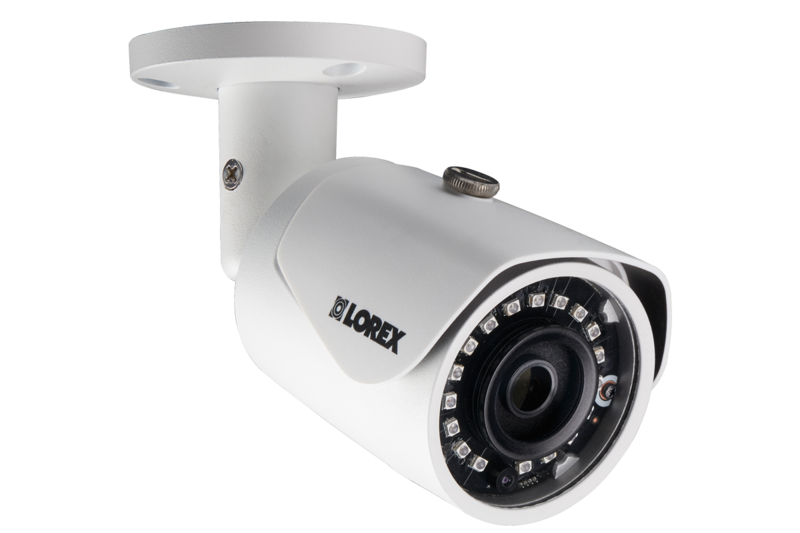 Engineered from the same material that is used in construction of airplanes and cars, this Lorex camera is strong enough to withstand large impacts unlike conventional plastic security cameras. 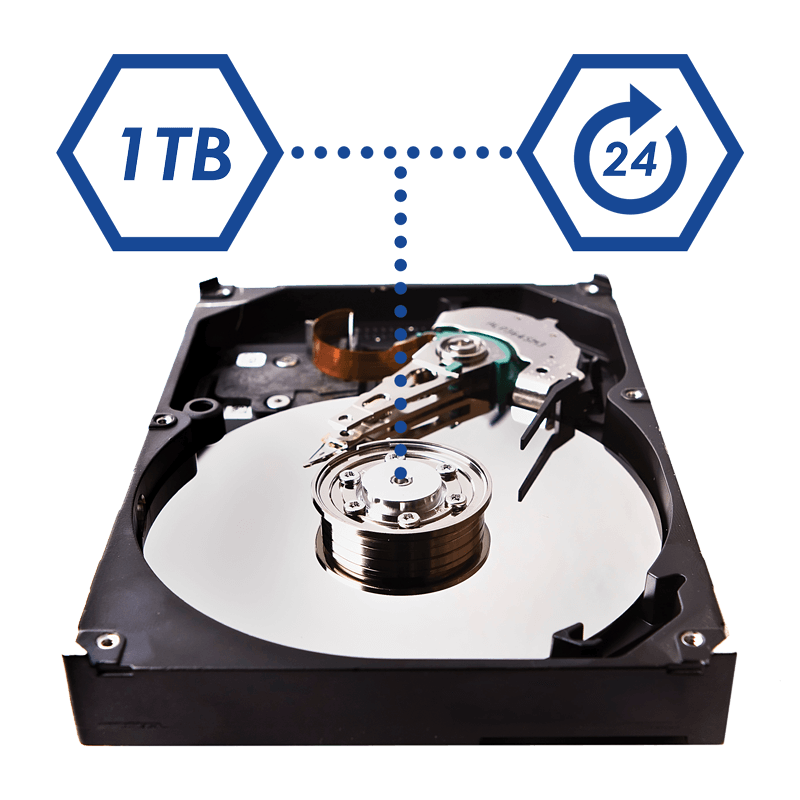 Your NVR includes a large 1TB security grade hard drive preinstalled. This heavy-duty hard drive is built specifically for security camera systems. It can be in constant use and can even continue to record while you watch recorded playback. If desired, this hard drive can be replaced with another SATA hard drive up to a maximum of 8TB in size. There are absolutely no monthly fees associated with this security system. All video footage is safely stored on the security grade hard drive located within the recorder. 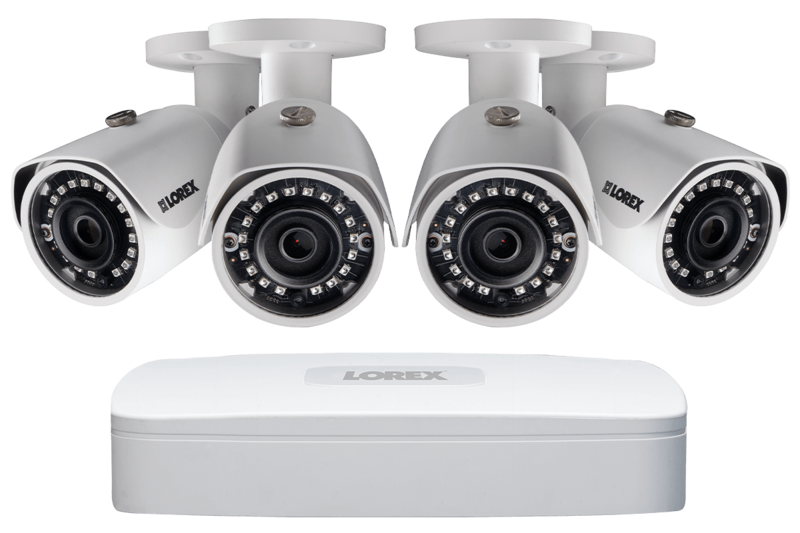 Lorex Cloud will help simplify and organize your life by keeping track of all your security cameras from anywhere in the world on any iPhone®, iPad® or Android® devices. 5. Both firmware and software must be updated to latest version to ensure remote connectivity. Firmware updates are pushed to the NVR automatically over the Internet (available at www.lorextechnology.com). Always update to the latest software after upgrading the NVR firmware. 2. 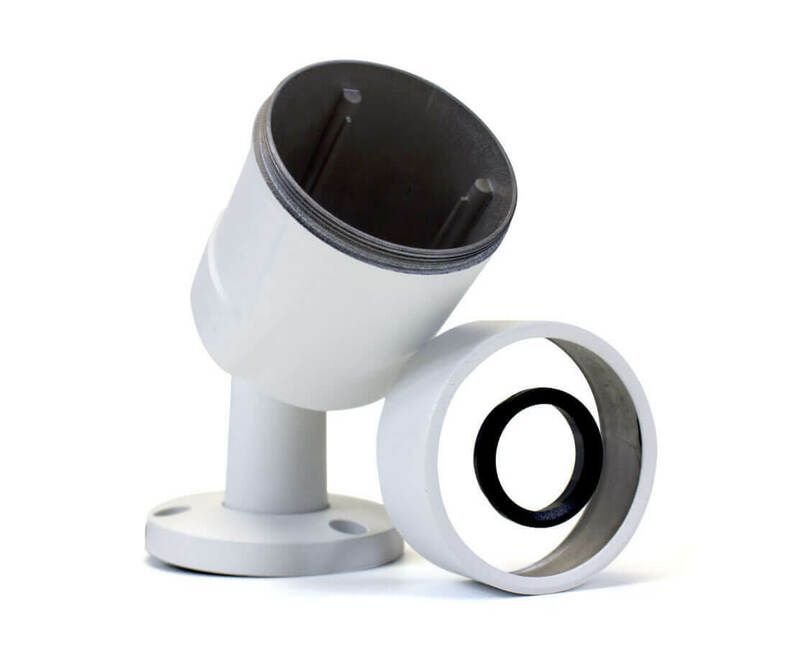 Stated IR illumination range is based on ideal conditions in typical outdoor night time ambient lighting and in total darkness. Actual range and image clarity depends on installation location, viewing area, and light reflection / absorption level of object. In low light, the camera will switch to black and white. Items are usually shipped from manufacturer warehouse within 1-4 business day(s). On rare occasions it can take longer if item is on backorder or sold out. Items may be returned within 30 days from the date of receipt. Items must be returned in exact condition it was shipped with all original box, accessories, books, etc. There may be 15% restocking fee and customer is responsible all shipping cost.